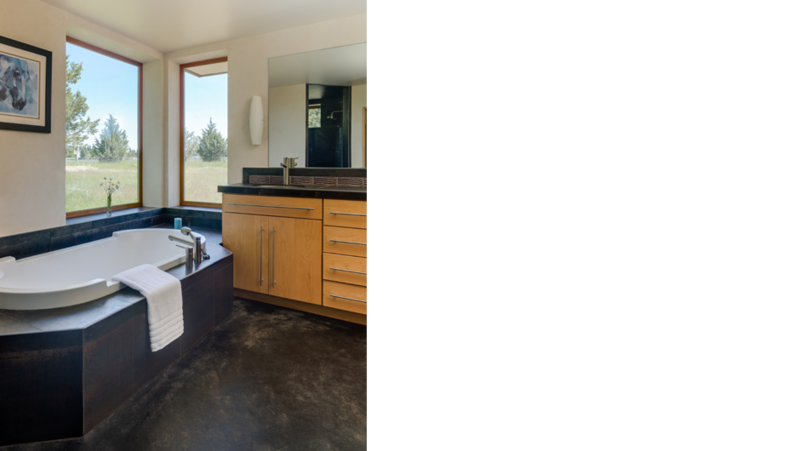 Living in an Eichler home in San Francisco, and anticipating the birth of their second child, this couple was motivated to build a healthy home in the country where they could raise a family in year-round comfort. They chose a sunny, pastoral lot perfectly suited for passive solar design. 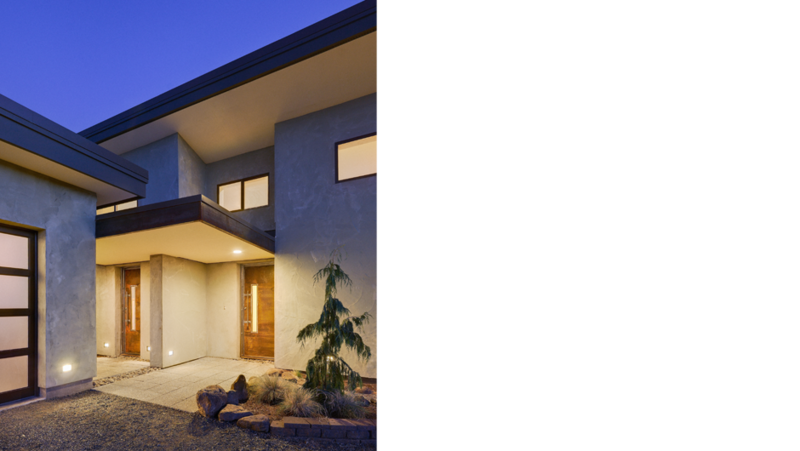 And they chose Cheryl Heinrichs Architecture, because of a shared passion for sustainable, modern home design. We laid out the home to capture and conserve solar energy, and to keep fresh air moving. 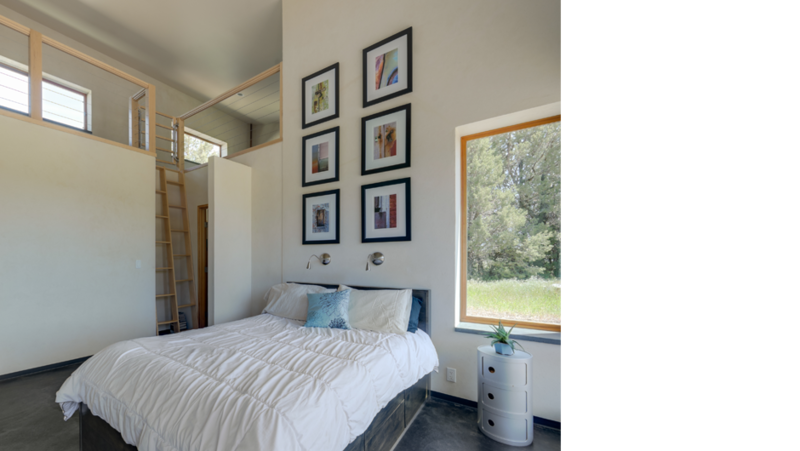 The main rooms are placed on the south side, with windows artfully arranged to capture passive solar energy, natural light and fresh air throughout the day. Right-sized awnings manage the solar gain. And, by separating the garage from the house, exhaust fumes are kept at bay. 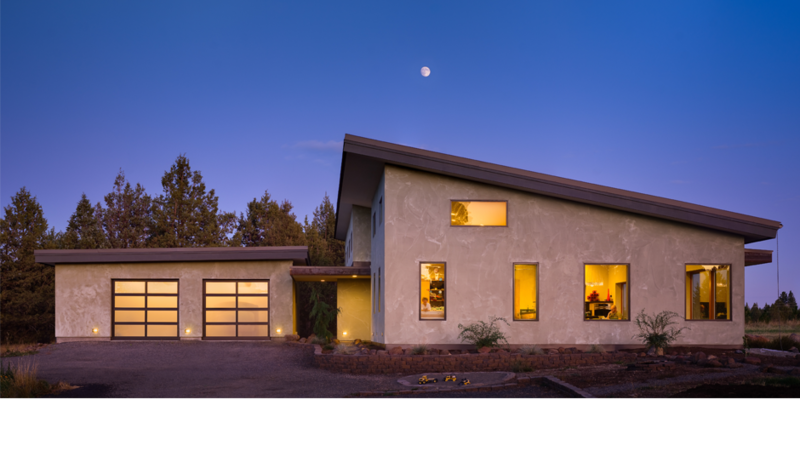 When the time came to choose building materials, we specified Durisol Blocks, breathable stucco, and non-toxic interior finishes. 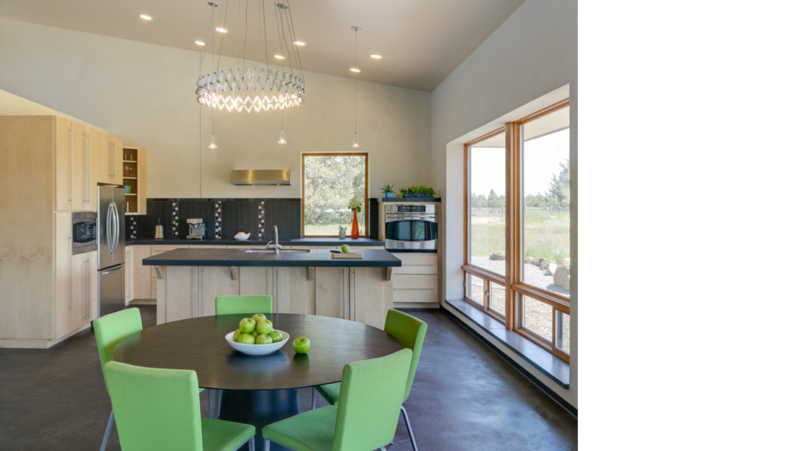 Besides being non-toxic and breathable, Durisol Blocks serve as a heat sink, an integral element of passive solar design. Maximizing solar energy was only the beginning. We capitalized on the surrounding views by framing a nearby mountain in one window and a peaceful prairie in another. To promote happy co-existence among children and grown-ups, we created a centralized great room, which separates spaces for work and play. 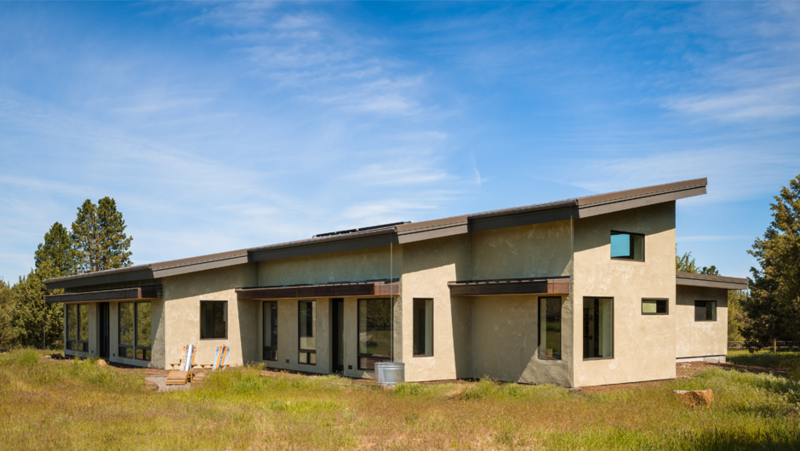 We gave this rural modern home a bucolic feel by including cantilevered rusted metal awnings, rain barrels, rustic metal doors, barn door hardware, and cable rail. Whether relaxing, working, or tending their horses, this family is happy and healthy in their playful modern home design.